Every medical residency candidate knows they will need a shining and perfectly crafted Medical Residency Personal Statement for each specialty they are interested in as a part of their overall ERAS Application when applying to medical residency programs. USMLE exam scores, Applicant Status or medical school performance can’t be helped, but the residency Personal Statement gives residency candidates unparalleled control over shaping the first impression they present to residency Program Directors and Interview Committees. The comprehensive Residency Expert Personal Statement review and editing service extends much deeper than your average editing service. Absolutely anything that can go wrong in a Personal Statement such as grammar, tone, awkward language, or incorrect content will be analyzed, corrected and improved to bring out your most outstanding qualities and give you a Personal Statement you can be sure will benefit you during the Residency Application Season. Medical Residency Personal Statements are an incredibly important and influential piece of the residency application. Candidates have the most control over the Personal Statement, which makes it the most direct way to distinguish yourself among the thousands of other residency candidates. That is why it is vital to work with a service that understands how to best make sure your Personal Statement helps you stand out as an individual by focusing on your past experiences, future goals, and who you are in the present. Residency candidates cannot afford to put their Personal Statements in just any professional hands. When they choose to look for a service to work with their Personal Statement, they should be looking for a team that has the most experience. The Residency Experts team has been working with Personal Statements for years and years, gathering the knowledge and precision to create the most efficient and effective protocol for working with all Personal Statements. This protocol ensures that every Personal Statement is treated with absolute care and will stand up to the most rigorous of scrutiny. Paying close attention to the details in your Personal Statement that will shape you into the most engaging and competitive residency applicant is one thing, but with the Residency Experts system, you will be going to the next level of Personal Statement and residency application assistance. By choosing any of the Application Solution Packages that includes the Personal Statement service, your personal Residency Expert will be able to pick and choose details to weave together throughout your entire residency application. By integrating details and eliminating redundancies through careful evaluation of not only your Personal Statement, but also your MyERAS Application written content and your submitted Letters of Recommendation, your Personal Statement will become part of an overall, cohesive portrait of the type of applicant residency programs would love to have. Get your Personal Statement(s) completed by following through fast and easy steps. If you select a Package with Personal Statement(s) included, you will be prompted to copy and paste your Personal Statement(s) and submit. Once you submit, your Personal Statement will go to the Expert assigned to your Application Package to review for any mistakes in spelling, grammar, tone, and the content’s value. Throughout the review, your Expert may discover if any crucial information is found to be missing based on the Personal Statement Protocol Checklist. If that is the case, they may send you some supplemental questions that will be used to complete your Personal Statement. Be sure to keep an eye on your email as the faster you answer, the faster your Personal Statement will be completed. When your Personal Statement has been completely reviewed, revised and finalized you will receive a final copy with a Work Summary and the Personal Statement Protocol Checklist. To get started with Residency Experts for your Personal Statement(s), you will need to first create your account to access our innovative platform powered by SurveyMonkey. Second, select the Application Solution Package that best suits your needs that includes Personal Statement services. Finally, submit your Personal Statement(s) for review and editing. What does the service do for my Personal Statement? When you submit your Personal Statement as a part of your Residency Experts Package, your Personal Statement is going to be put through an extensive review and revision process. Is there any size limit to submit my Personal Statement? Yes. Your Personal Statement must be more than 500 words and less than 1,000 words in order to submit. Can I submit an outline or incomplete Personal Statement? No, all Personal Statements must be complete in order to be accepted. How many Personal Statements can I submit? You may submit up to as many Personal Statements as are included in your Application Package. Can I submit my Personal Statement later? All documents in the Application Package are due to be submitted together at the time of payment. Whether you are applying to one specialty or multiple specialties, in order to have the strongest overall ERAS Application you must have a Personal Statement for EACH medical specialty you are planning on applying to. Each Personal Statement must focus on your passion, goals and experiences in one medical specialty to prove your dedication as a residency applicant applying to a program in that specialty. Nothing drags a piece of professional writing down faster than even one error in the spelling or proper English. Although this can be very hard on non-native English speakers, or anyone who hasn’t been professionally writing for some time, residency Program Directors and Interview committees still expect a professionally strong command of the English language. Believe it or not, a Personal Statement can be either be too long or too short. A couple of paragraphs is an insufficient amount of space to properly introduce yourself, while having additional pages is arduous for the application reviewer. The optimal Personal Statement size is one page which is usually 600 to 800 words. Program Directors have limited time and having a lengthy Personal Statement could end up in the trash can. There is precise language residency candidates should use in their Personal Statements, and language they should definitely not. The Personal Statement is, above all else, a professional document. Trying to stand out by using avant garde language or throwing in strange formatting choices is a not a risk worth taking to get residency program’s attention. Also, special characters are not recognized by the ERAS system. Remember, your Personal Statement is meant to be about you, your journey and your experiences. Many residency candidates will waste valuable space on quotes from famous people, lengthy stories about their mentors, anecdotes from before medical school or even reiterating why they want to go into the field of medicine (which should have been covered in your medical school admissions essay). Residency Experts combines a highly motivated team, all with individual skills and experience, and the most innovative technology. 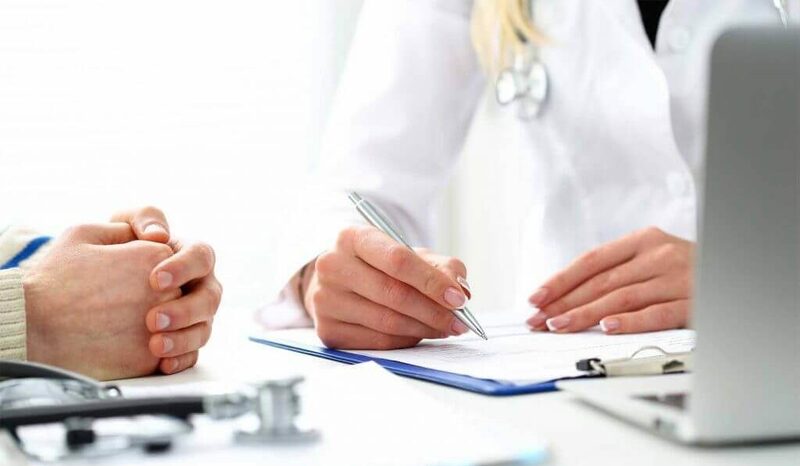 We carefully utilize advanced methods of training and years of residency experience, while constantly striving to provide the best ERAS Application supporting document review, editing and feedback services available with research-based methods and protocols.